In the last few months, year, or so, there have been many new handguns introduced for concealed carry (CC). It seems there is always the “latest and greatest” handgun with a unique gimmick or special feature introduced for your consideration. Everyone has an opinion about “THE” best CC gun and certainly everyone has their individual biases and preferred features for it. Most cannot afford to change their CC gun every few months nor do they want to. They want to have a very reliable and quality CC gun they can live with for quite awhile. Some of you asked me for a follow-up study to include a lot more gun options than my previous December 2014 review on this website, so here it is. I decided to make a comparison and ranking of 21 of the current viable CC handguns and see which ones came out in the top 4 based on selected factors and my criteria. I believe before you read my study and analysis or any handgun selection study that you decide what you want in your CC gun up front and not be swayed by what any study, what your best friend uses, or what the manufacturer’s newest and improved model is. The carry calibers introduced lately are mostly in 9 mm and .380 ACP. To help with my own carry decision, confirm past decisions, and because my readers and students ask me almost daily “What gun do you recommend for CC?”, I decided to evaluate 21 of the 100 (or is that 1,000?) current handguns in 9 mm only for the CC purpose from just 10 manufacturers. Some models have been around for awhile and several are new within the last few months. All but 3 have less than a 4″ barrel. Please understand that this list is not all inclusive and is not intended to be. The 21 guns and manufacturers I included were the ones most asked about and which I personally wanted to know more about. While the grip angle of one of the new guns was not best for my medium-sized hands, I still wanted to include it in my study because of its popularity. So this is very subjective in terms of my “Top 21 CC” 9 mm handguns and I do not intend to anger anyone through omission of their preferred CC gun or manufacturer, nor slight the .380, .45, or other calibers or features. Those can be included later in another comparison list, study, and rankings. I wanted to see a side-by-side comparison of the 9 mm guns’ specifications and then rank them by my 4 main criteria. There is not a current specifications and rankings by key criteria comparison of these 21 guns in 9 mm that I could identify. My sole motivation is to sincerely help folks and myself consider the specifications, key factors, and comparisons among this limited set of 21 popular 9 mm CC handguns. There are certainly other fine options for another study. I prefer 9 mm for CC because of the ease of recoil control, availability of reasonably-priced ammo which allows more practice for myself, one-shot stop percentage comparisons for CC calibers from recent studies, general accuracy advantage from less movement, the F.B.I and other law enforcement agencies’ preference justification and recent switches to 9mm as a primary duty gun for improved accuracy, etc. Of course, training and practice are important for handling, operating, and shooting any gun accurately. So I decided to look at some current models of 9 mm carry handguns, for example the Sig P320 Sub-Compact, the Glock 43, the Springfield XD9- Mod 2, the Ruger LC9s, the S&W M&P Compact, the Kimber Solo, and the FNS 9 Compact, to name just a few. Previously, I have reviewed several of these handguns individually on this website, own almost all of them, and consider all of them to be effective and quality guns for CC. Keep in mind that this very personal decision is yours alone to make according to your own criteria, factors, priorities, preferences, desired features, ergonomics and comfort considerations, medical conditions, hand and finger size and strength, method of carry, frequency of carry, number of bad guys encountered (capacity), available gun money, etc. Maybe a 9mm is not even the best caliber for you and maybe none of the guns I studied are for you. So I strongly suggest handling and shooting your possible CC gun options and evaluating them yourself BEFORE you buy. First, I want to give 8 key objective CC Factors for each of the 21 handguns and then focus on my 4 main preferred criteria (excluding my personal features preferences) which, in MY opinion, are important for CC purposes and for me. I know there are other factors and priorities, but to make my non-funded mini-study practical and feasible to help you, I narrowed the many factors down to 8 factors and specified my 4 main CC criteria. Perhaps, you might want to do a study with your preferred guns, personal factors, and criteria. I sincerely would like to read your opinions, desired features, and rankings. Beneath the comparison chart below are my rankings of the guns by my 4 main criteria, with guns ranked by each individual criterion. Many have asked, so I also include a ranking by Retail Price, although not one of my main 4 criteria. Price is so variable, dependent upon seller, supply and demand, time, and for me not a main consideration when it comes to an expense for defending my life and my loved ones. Then I offer an Overall Ranking for all 21 guns considering a composite of my top 4 criteria. So you can see which guns received 2, 3, or 4 rankings of my 4 possible main criteria. For the Overall Rankings, only one gun received some ranking in all 4 criteria rankings. (Incidentally, this confirmed my choice several years ago for one of my top carry guns.) Hope this helps you some or at least will be a starting point to save you time for your own comparisons. I have put the features and specifications for each of the 21 handguns in the following easy-reference chart to allow you to better make comparisons for your decision. * Weight varies by grains/type bullet/caliber/number of rounds; assumes standard 9mm mag weight-fully loaded is about 3 oz. ** Retail price approximate as of March 20, 2015. Varies by dealer, options, supply-demand, etc. Notes: Capacity is shown in standard rounds from manufacturer; All 21 guns are acceptable for my carry purposes & those 6 with a lighter trigger press (out of the manufacturer’s box) are very comparable for accuracy with my bench rest shooting skills at 7 yards; Comfort in the hand & ergonomics, while not identical for all guns studied, are acceptable to me & very comparable for my medium-sized hands. TIE: Ruger LC9S– $449; Ruger SR9C– $449. TIE: S&W M&PC– $585; Sig 320 Sub-Compact– $585. ; Sig P320 Compact– $585. TIE: Glock 26– $599. ; Glock 19– $599. ; Glock 43– $599. ; FNS 9 Compact– $599. Sig 224 SAS DAK– $1,149. I hope this data comparison and rankings among 21 of the current 9mm handguns for concealed carry purposes have helped you narrow down your list of gun contenders and saved you some time. I tried to be as objective as possible in isolating on what carry factors are important and logically presenting the data and rankings, but individual bias and subjectivity always play a part of personal analysis and decision-making. Ergonomics, comfort, and gun fit to your hand are also very important, but you will have to determine that for yourself. Of the 21 handguns in 9 mm included, note the top 10 guns in the Overall Rank category. These are all stellar guns and all are worthy to be your CC gun. Certainly all 21 are also excellent guns and very worthy of consideration. I carry many of them myself in the rotation among my CC guns. Note the top 4 guns in the Overall Rank category (in bold) that resulted from the 8 factors and the 4 criteria in this analysis were: Springfield EMP; TIE: Glock 43; Ruger LC9S; and Sig P320 Subcompact. At least this will give you a starting point for what’s currently out there for your own exploration. 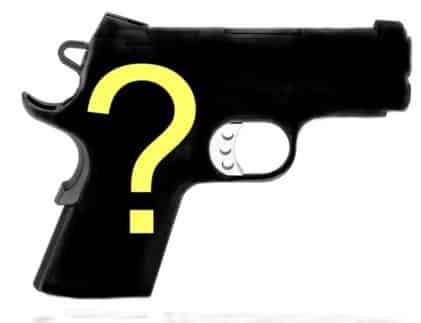 What are your top 4 contenders for your CC gun and which one do you primarily prefer and why?